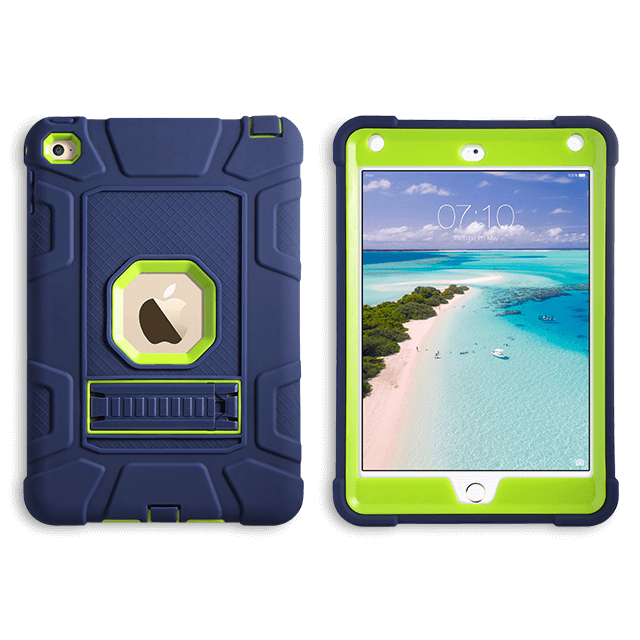 This premium hybrid case is perfectly manufactured for the iPad mini 4, all the ports and buttons are easily accessible, the case raised by about 2 mm so the screen should be safe from accidental drops. Advanced 3in1 (2 hard PC +soft Silicone) design provides great impact protection, shock resistance and bump. 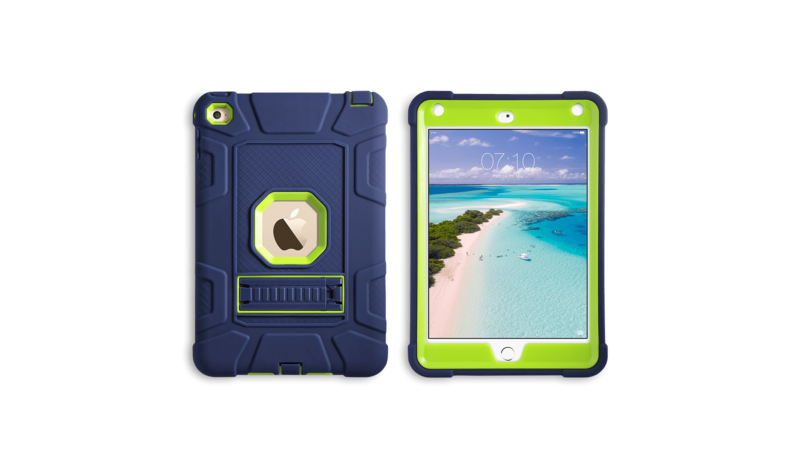 2 pieces hard inner plastic shell snaps together over your iPad mini, and then the molded silicone outer around, which attaches over the plastic frame to make your iPad mini 4 safe and stylish.